It was a particularly tumultuous week in the history of Nigeria and the experiment with political parties. 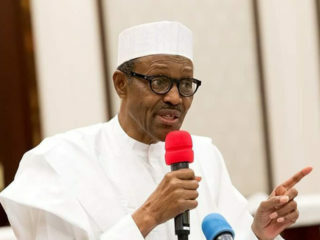 In a poignant manner, the All Progressives Congress (APC) demonstrated to the entire world that it is yet to put its house in order after three odd years in power. First was the open warning from the party chairman, Comrade Adams Oshiomhole to the Minister of Labour, Dr. Chris Ngige that he would sack the latter from the party if he did not immediately constitute the boards and parastatals in his ministry. 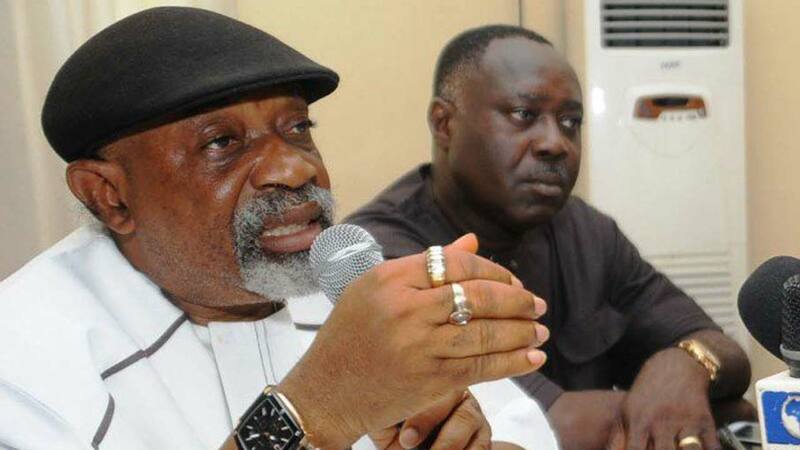 Dr. Ngige replied in kind, asserting that he takes directives only from the President. Why this exchange should become a public matter is extremely baffling. Before the end of the week, the National Assembly went into a show of shame. Ignoring constitutional provisions for changing parties, some senators crossed from the ruling party. The same charade was repeated in the House of Representatives where 37 members announced their defection to another party. Some of the state governors have not been left out. Indeed governors are the ultimate power in their domain. Party members who disagree with them end up on the margins. Thus, though they are the apogee of the structure of democracy at state levels, their utterances and modus operandi are anything but democratic. 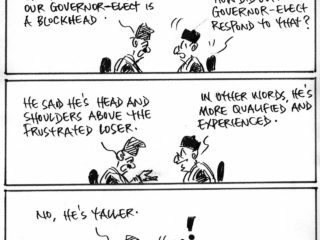 A significant number of National Assembly members are in perpetual conflict with their state governors even though they are members of one party. Certainly the ruling party has a lot of work to. It was against the background of party discipline that Oshiomhole issued the threat. Ordinarily, these should pass as intra-party affairs. But we must tread with caution. Nigerians should remember all too well that the crisis which later engulfed the entire nation in the First Republic started as an internal affair. When it spiraled out of control, ultimately the nation was the worse for it, scars of which have not even healed. One of the ingredients of democracy is the formation and sustenance of political parties. Ideally, parties are formed on the basis of ideological or philosophical persuasions. To belong in a party suggests commitment to the ideals which the party stands for. In the First Republic, members subscribed to political parties which ideological position they believed in. They funded the parties through their party dues. It was therefore difficult for wealthy individuals to hijack the parties and dictate their fortunes. Those were the days when communal and societal values counted for something. What is witnessed these days in the political parties is a criminal aberration. Wealthy patrons and the all-powerful governors virtually dictate the fortunes of the parties. Some become so powerful that principled decisions are thwarted for their sakes. Parties are expected to have mechanisms for internal discipline. A political party which lacks internal cohesion and discipline cannot successfully administer the state or the people even if it succeeds in winning elections. Perhaps one of the challenges of the ruling party is the marriage of strange bedfellows who came together with the singular objective of chasing the then ruling party out of power. After achieving their goal, leaders of the APC started grappling with the more serious task of governance. Nigerians were aghast that it took the government six anxious months to appoint ministers into the federal cabinet. To worsen matters, boards and commissions which serve as the engine room for implementation of government policies remained in abeyance till 2016. The discordant tunes and sheer indiscipline of some members of the party have been too glaring. The general culture of trenchant indiscipline has permeated all sections and strata of the national life. The spurious riot act to office holders in the ruling party therefore is fallout of this national malaise. Ministers, of course, are members of the party. They ought to uphold the vision and broad directives of their parties for the common good.Political parties ought to be able to sanction erring members if such fall short of party expectations. But things need to be done right. Party matters are not to be settled on the pages of the newspapers. The ruling party ought to use the office of the president to call members to order on policy matters. 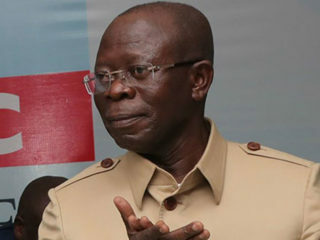 Oshiomhole’s outburst that he was not going to stomach insubordination like the President was in bad taste. It was a subtle indictment of the President. Political parties should start the business of internal re-engineering. They are in for a long haul. As a result, they should establish structures and practices that would stand the test of time. The time-tested codes of behaviour and social engagement should be reaffirmed both in the ruling and opposition parties. A political system which is devoid of a dynamic and vigorous opposition cannot grow. Opposition parties are invariably ruling-parties-in-waiting. For this reason they should keep abreast of government activities and serve as a check on excesses or failures. If all stakeholders realise this, they would be serious and committed in their duties. Finally, the APC and all other parties should see the picture beyond the present. The future of democracy in the land depends on their ability to entrench values that will outlive them. Cash and carry politics is rabid corruption. Prebendal politics is also destructive to good governance. Political parties without discipline or ideals are anathema to democracy. Leaders of the political parties should go back to the drawing board and identify where the proverbial rain began to beat them. They should entrench discipline. But they cannot achieve this if they are not disciplined themselves. Discipline involves developing ideas and programmes for the common good and pursuing those goals with a determined focus.